These sandals have black leather uppers and the balance is manmade. They are by Etienne Aigner. 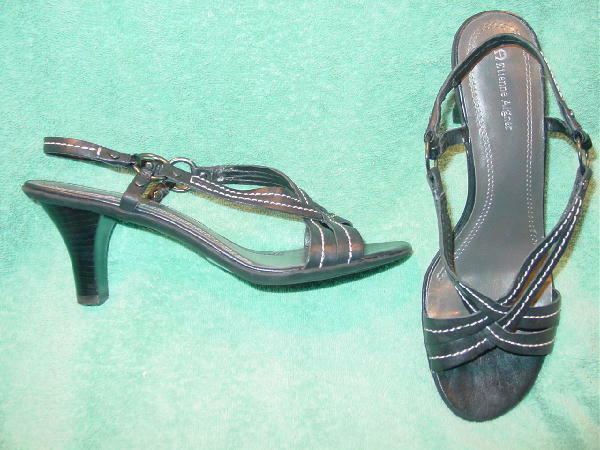 They have black faux stacked heels and titanium color insoles and black toe beds. The straps have white accent stitching and dark silver-tone metal rivets and rings.